The Ardennen Cup 2019 is in the starting blocks. The preparations begin. After the problems from last year, we thought that now a little bit of peace entered. But no, then we got the news, that the Deich hall is occupied in 2019, as our pentecost date fall on a date already booked for several years. 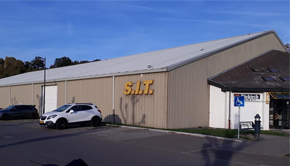 Together with the municipality of Ettelbruck we looked for an alternative and as everybody knows we will hold the AC2019 in the Tennis hall in Erpeldange op der Sauer. It will be a journey into the past, some players will be happy, and it will be more work for us. That's why we would like to emphasise the valuable help of our volunteers, as well the youth club from Schieren, who help us a lot with the building up and down, the municipality of Ettelbrück, as well next year the municipality of Erpeldange op der Sauer and of course not to forget all our sponsors. Now to the question how long will the AC still be? In the future we will think from year to year, until one day, when the AC will be for the last time. But now the tournament 2019 is in the foreground, we are looking forward to the event and will do our best to make it a great tournament again. 2019 back in the tennis hall! 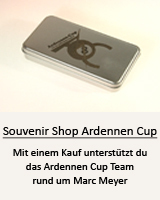 The Ardennen Cup 2019 will take place in the tennis hall in Erpeldange. See Way Desctiption.